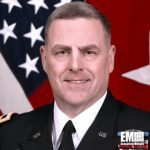 Gen. Mark Milley, chief of staff at the U.S. Army, said at a recent House defense appropriations subcommittee hearing the service branch plans to invest in the research and development of long-range weapons technology, National Defense Magazine reported Monday. “A subset of that is the hypersonics piece,” Milley told lawmakers. The Army awarded General Atomics a three-year contract to help the service branch develop, integrate and test electromagnetic railgun. Railgun projectiles are designed to travel at a speed of at least 3,800 miles per hour, the report noted.